A derailed season just went off the rails completely for the Los Angeles Lakers. 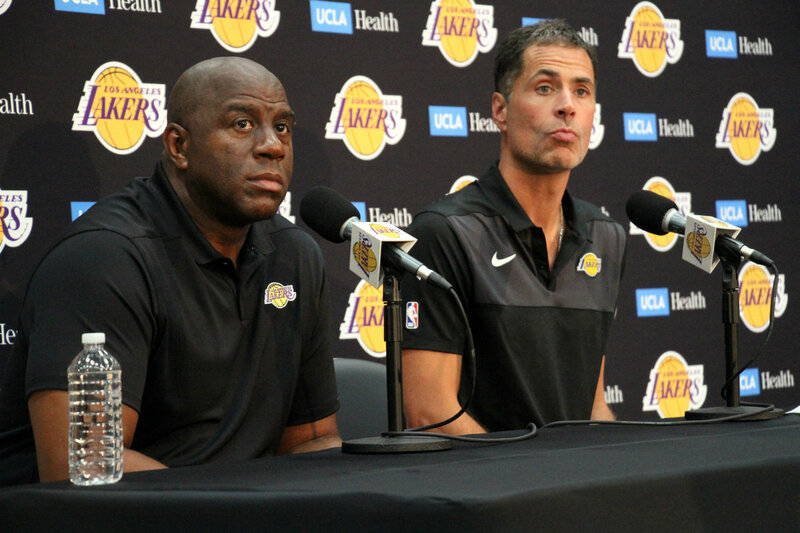 Just before the Lakers were to play their finale at Staples Center, Earvin ” Magic” Johnson dropped the hammer on the franchise when he abruptly announced that he was stepping down as team president. Whoa. What? During his impromptu press conference sounded like a man relieved to be able to have his life back. Apparently, team owner Jeanie Buss and superstar LeBron James was not aware of Johnson’s announcement coming down the pipeline. Yes, the Magic Man is gone. For the Lakers, as an organization, Johnson’s announcement to leave the leave in his official capacity as the top man on the team’s food chain, is going to be felt throughout this NBA postseason, NBA Draft and throughout the offseason, including free agency. Johnson’s interview had a bit of everything. There were tears. There was that incredible Magic Johnson smile. And then there was the straight-laced Johnson that talked basketball, the future of the organization and what he missed in his role as president of basketball operations. “I had more fun when I was able to be the big brother and the ambassador to everybody,” Johnson said, according to Yahoo! Sports. How Johnson leaving the team will affect the future of the Lakers and LeBron James remain to be seen. But the immediate aftermath of the Hall of Famer choosing to leave it all behind is shocking. The Lakers immediately issued a statement regarding the departure of Johnson.